Laundry...a necessary evil. 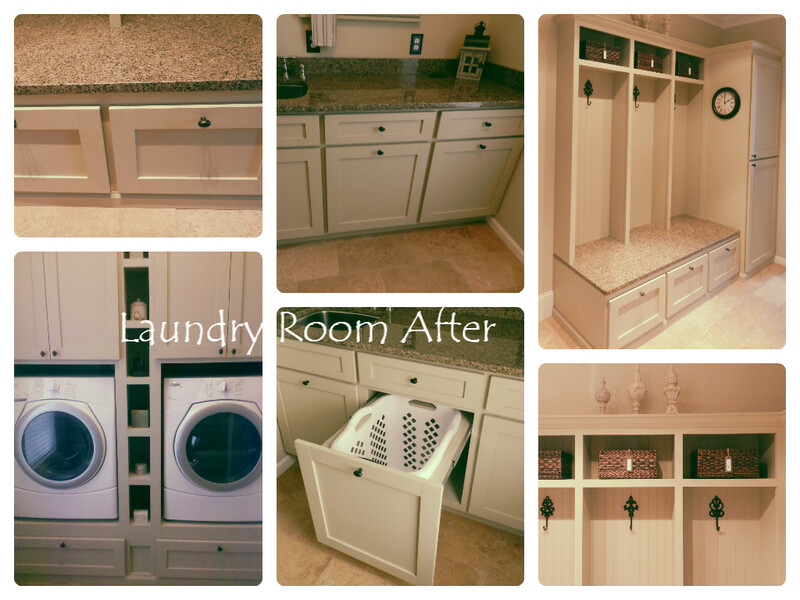 Our friend Kelly, had a typical laundry and mudroom space with white cabinets, brass hardware, and a few hooks to hang up your coat. 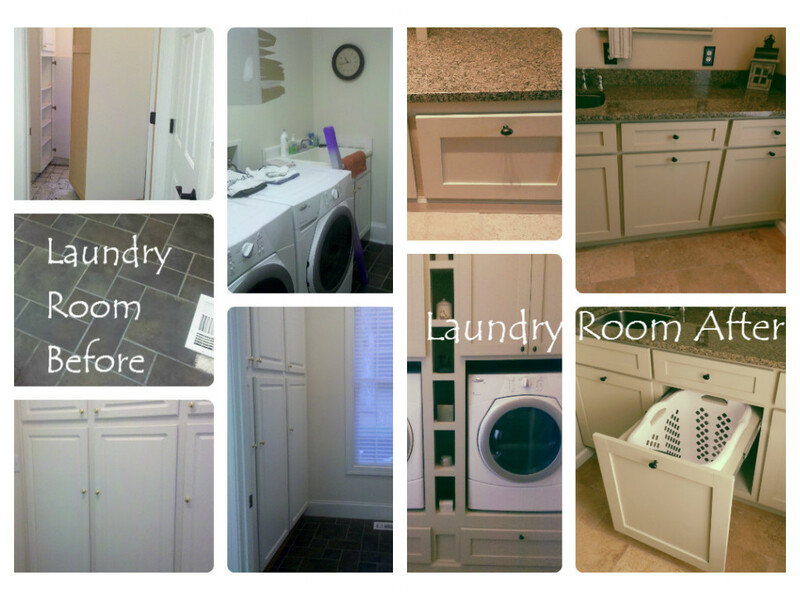 The strange thing was that the washer and dryer were just inside the garage door, and the mudroom was hidden in a small room behind that. She, being the brilliant homeowner that she is, thought to reverse the two rooms. 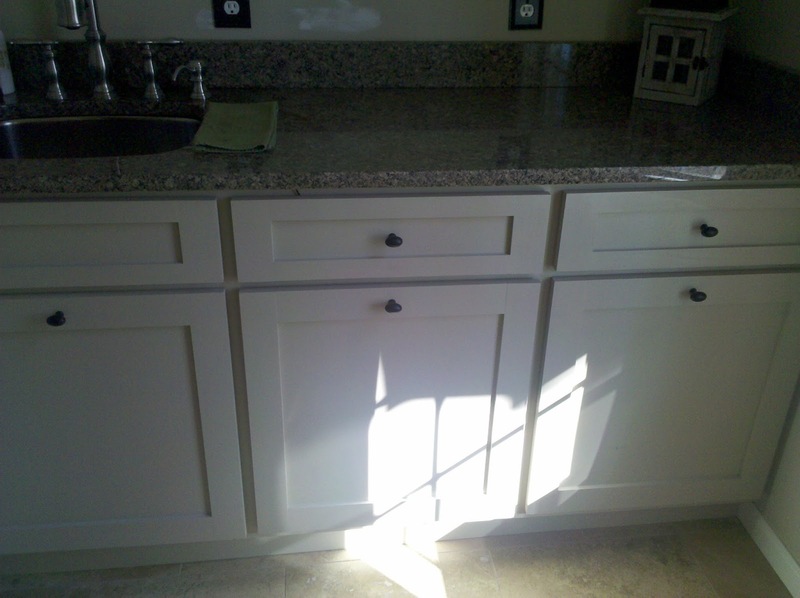 All those white cabinets were put to good use storing Chris' tools in the garage. What he created to replace them is nothing short of fabulous! Every inch of these two rooms was thought out. A little bench allows you to perch while you pull your boots on. Adorable hooks keep purses and jackets off the floor. Baskets above for scarves and gloves, leashes and miscellaneous paraphernalia. I told you she thought of everything. 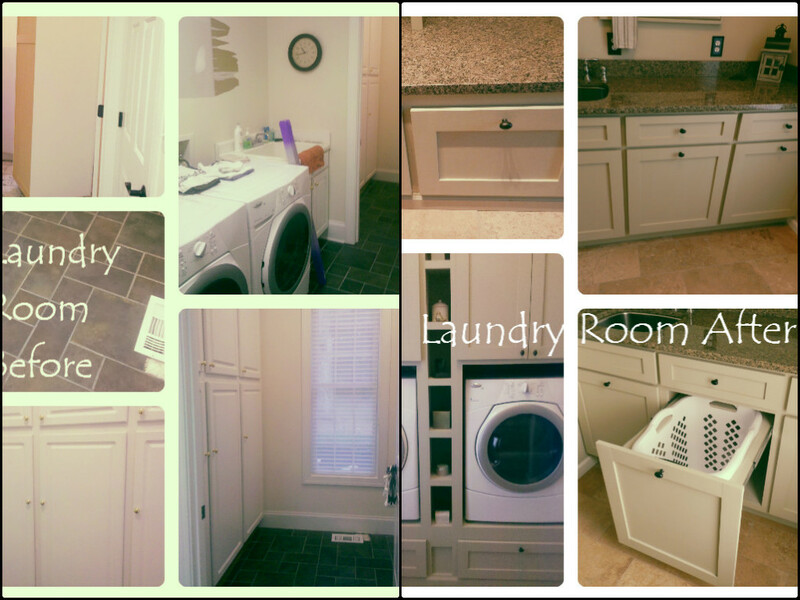 A sink for hand washing, and a pull out bin for stashing dirty clothes out of sight until laundry day. The travertine floor lightened up the space considerably. 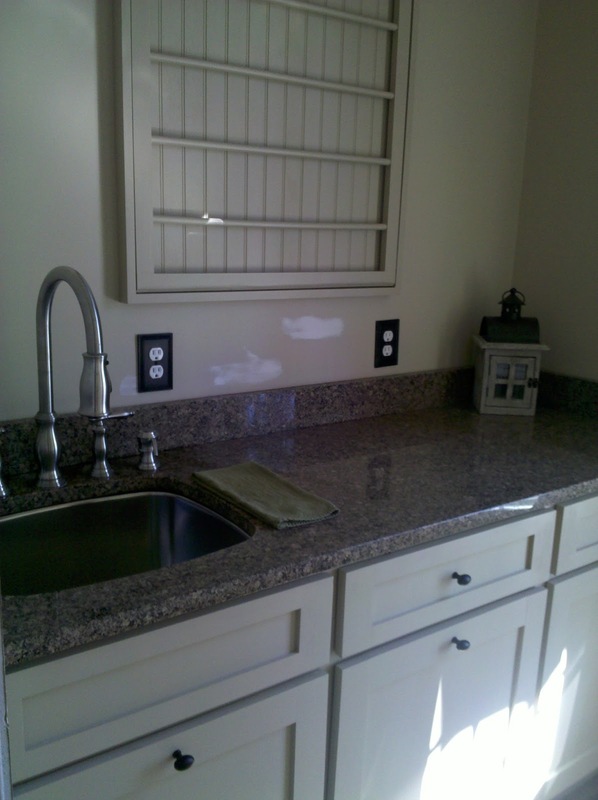 I actually liked the slate floors she had before, but I'm okay with the fresh new look of this natural stone. 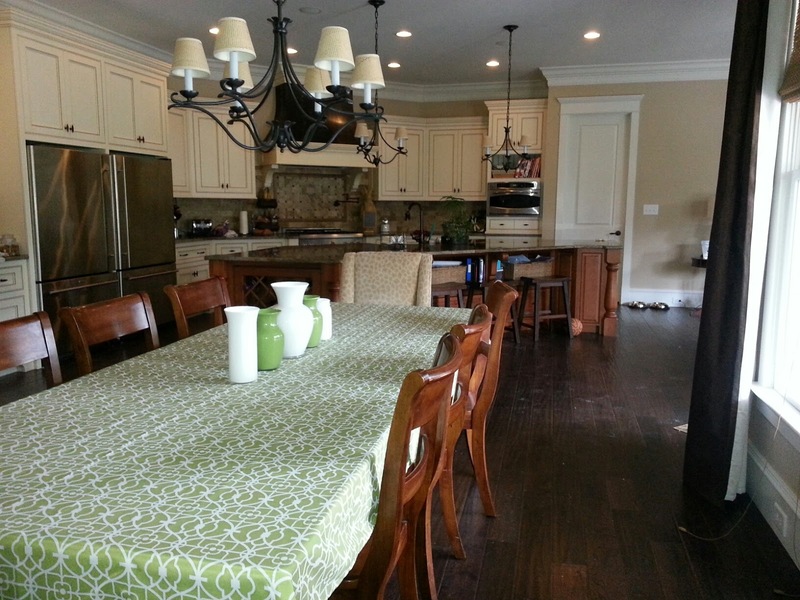 A new light fixture and soft color choice, makes this room blend in to it's surroundings beautifully. 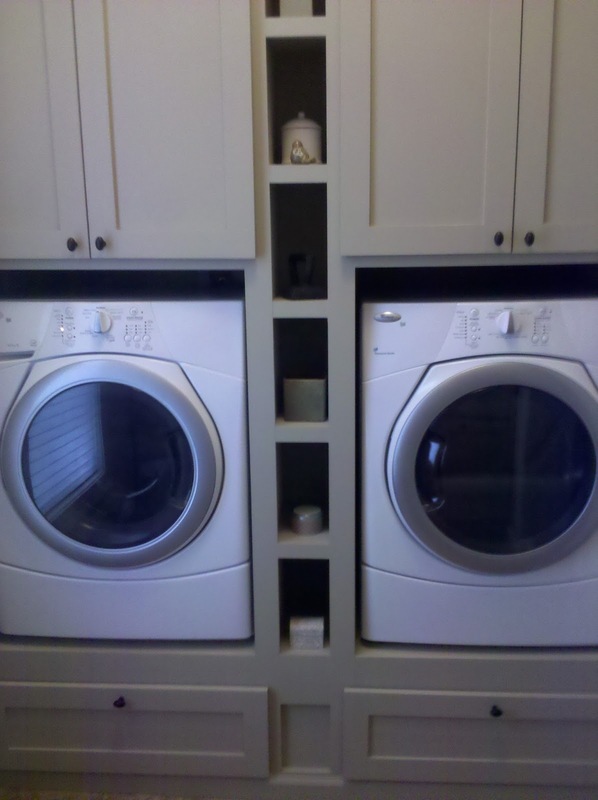 The washer and dryer were raised up to a more comfortable working height and little cubbies were added for all of your stain treatments, dryer sheets and spare change jar. 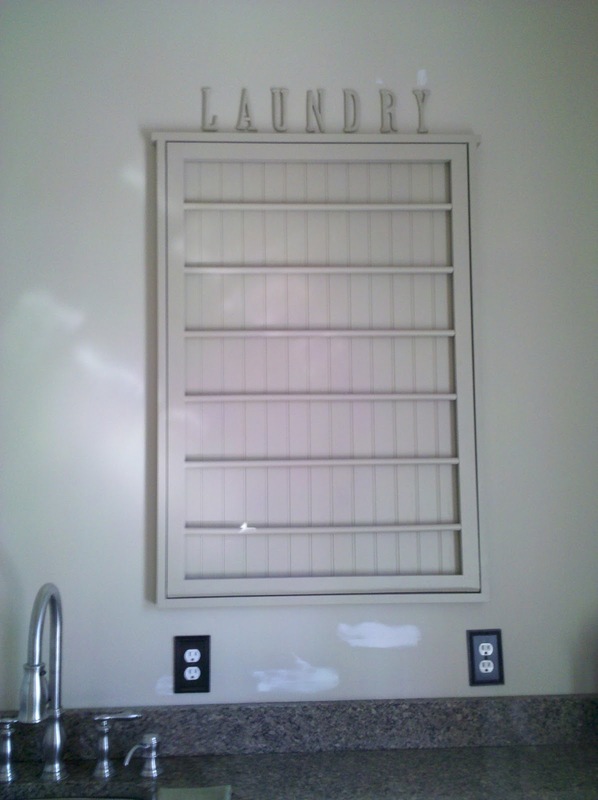 A knock off of the tilt out drying rack from Ballard Designs. Our Master Carpenter, Chris built every piece in these two rooms. 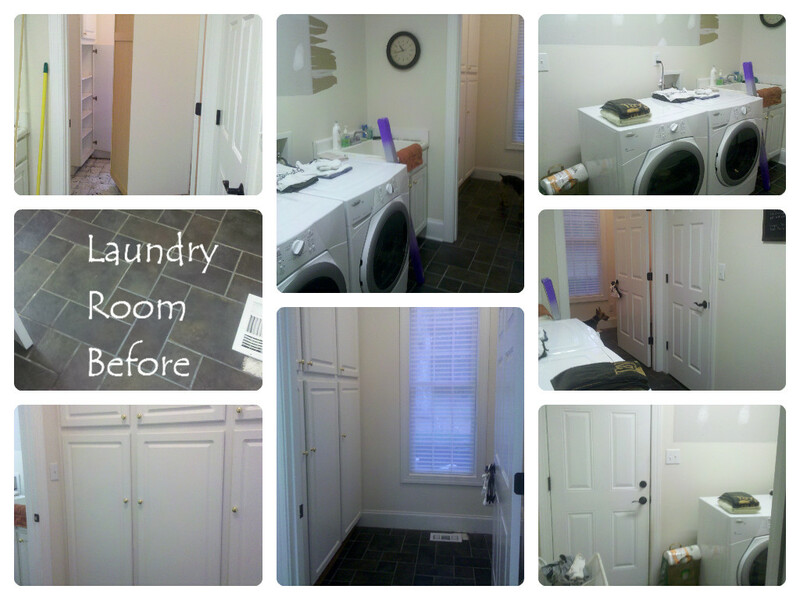 If your laundry room is in need of a makeover, give us a call; we can make it happen! 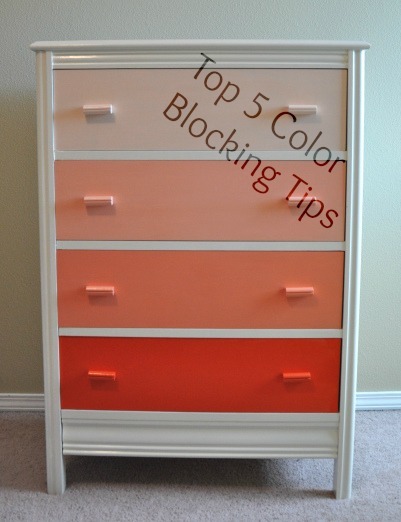 Add some PIZAZZ- Top 5 Color Blocking Tips! 2: Layer it on. 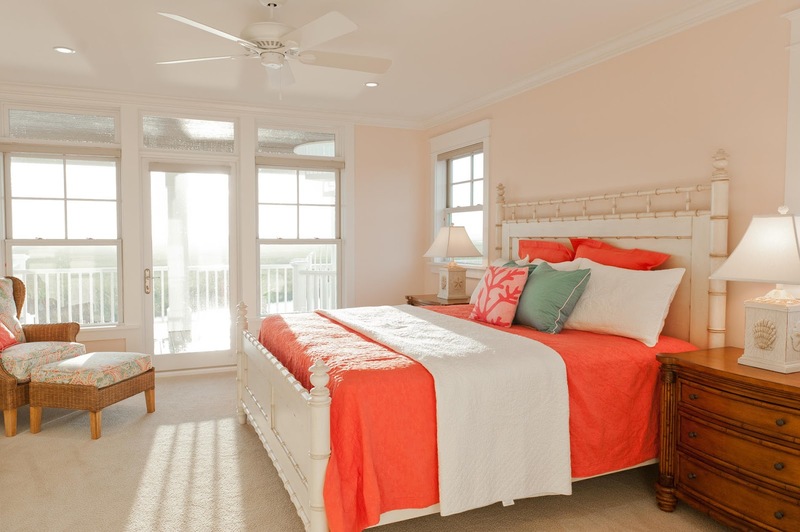 In this gorgeous bedroom, a simple, folded coverlet thrown across the bed takes this bed from hum-drum to coastal-coral-Wow! Repeat the idea in the shams. The only pattern in the room comes from one simple accent pillow. 3: Think outside of the block. 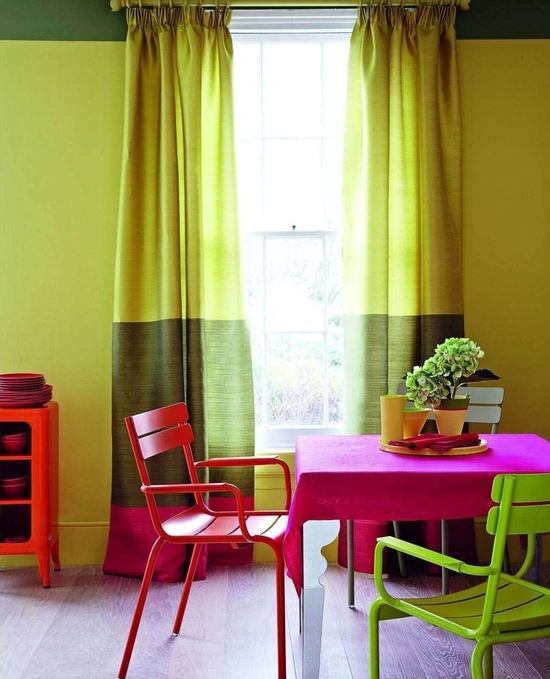 I love the color blocked curtains and paint in this room, but what I really love are the chairs. By repeating the interesting colors through the furnishings, window treatments and walls, the designer spreads the color around the room. 4: Stay in the shade. 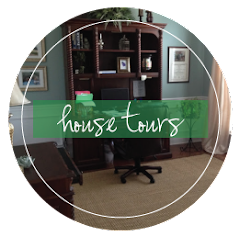 For a cohesive look, choose colors from the same color card, but in varying intensities. 5: Take it outside. Color block your outdoor spaces by adding planters, rugs and cushions. 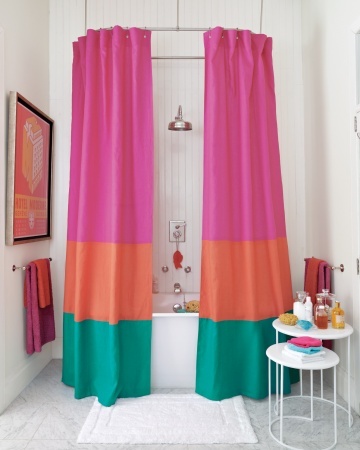 Do you have a space that could use a little pizazz? Try this super-simple idea and yield maximum impact. 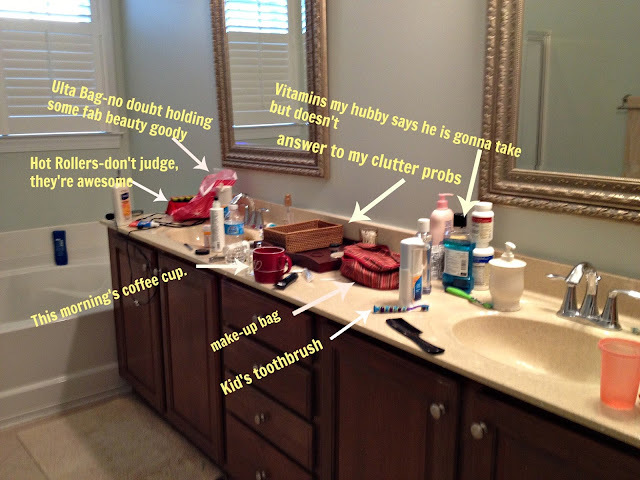 Head 'em up, move 'em out- corralling clutter in the bathroom! Wow! That is pretty. I bet your bathroom looks just like that, am I right? I sure do wish this blog program had sound effects. If it did...tires would be screeching...right now. Oh.my.word. No she didn't. Oh yes she did!!! I'm pretty sure this is home decor blog equivalent of your age and weight as your Facebook status. 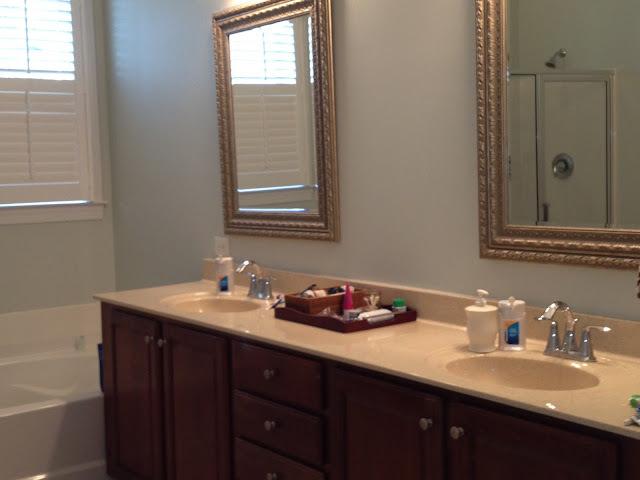 People...admit it...this is what your bathroom looks like too. Except, the hot rollers. I KNOW I'm the only one using those things on this side of 1987. Seriously...who can function without their "stuff" handy? And, who really puts it ALL away before you rush out the door to work, school, etc? If you do...you're awesome...OCD...but nonetheless--totally awesome! If you're like the other 99.9% of people with bathrooms, you need a bit of help to tame the madness that is the aftermath of the morning coif! 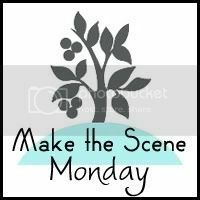 AND, if your house is ON THE MARKET like mine, it would be nice to be able to do a quick tidy and run out the door when a potential buyer calls to swing by in 15 minutes. We wrote about being tray chic a while back. Peeps, I'm here to tell you that you can never have too many trays. 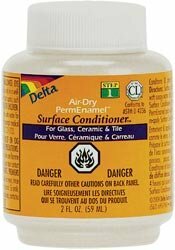 They're good for bathrooms and kitchens and living rooms--pretty much everywhere!! Yes, I had to put away the hubby's never-used vitamins and actually put the coffee cup in say, the dishwasher?! 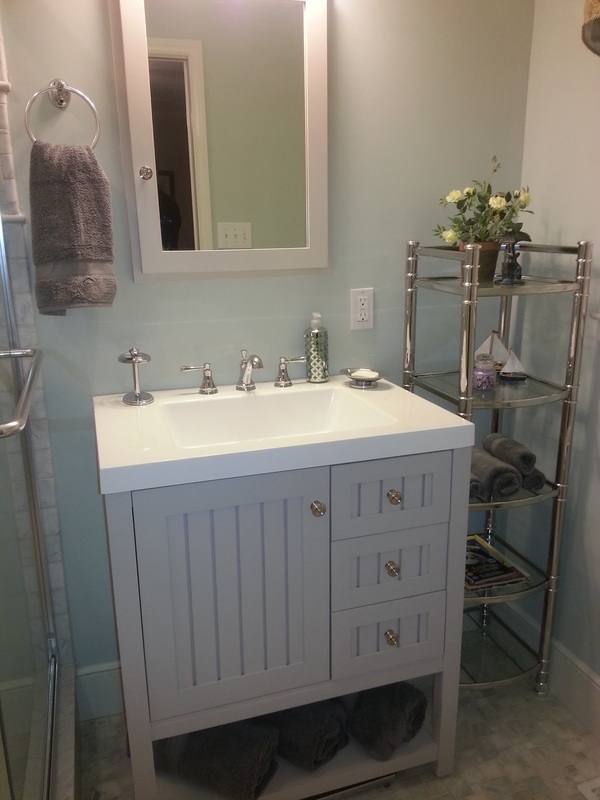 And, of course the blessed hot rollers and lotion are now under the sink. BUT...all the random little stuff is now neatly corralled on the tray. My make-up is now in the basket on the tray. Still handy BUT CORRALLED!!!! Maybe it's just me--but, I think it looks a ton better! Now that I've shown you one of my dirty secrets, can you think of a place in your home that could stand to be "tray chic"? 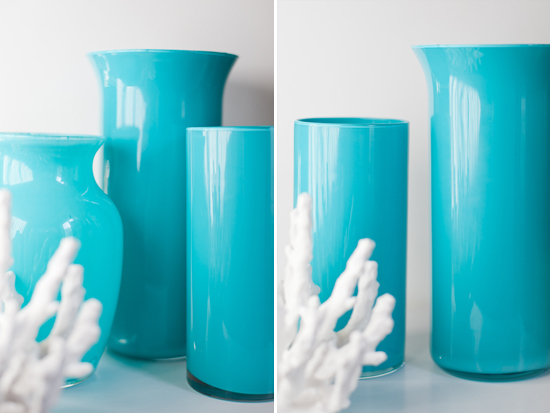 EASY Enamel Glass Paint DIY, avoiding drippy lips, Easter Decor and link-ups! You know I love me some spray paint right? 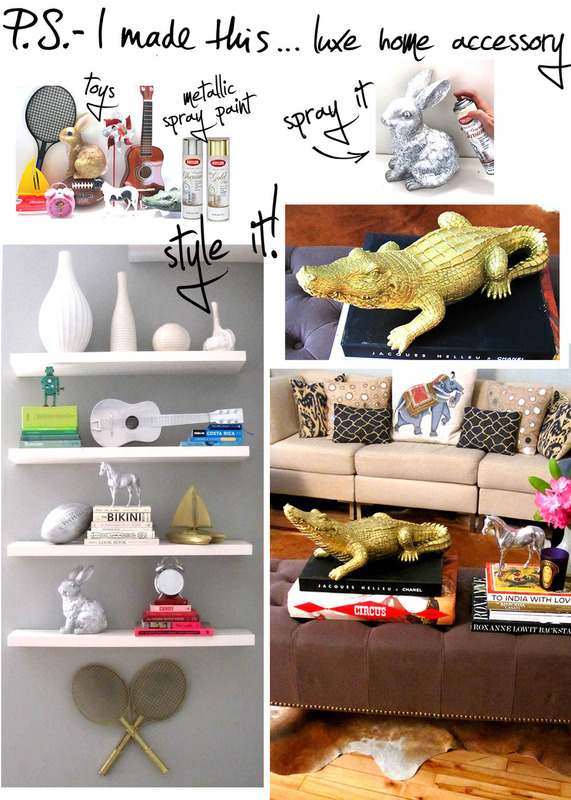 Well, I wondered what else I could use to create a monochromatic color scheme of accessories in my home. Solution: Easy DIY Glass Paint! The inspiration for this easy glass painting project came from reading this cute blog called P.S. ~ I Made This. It was the alligator that got me. How cute is he? I was chased by a Momma alligator once when I got too close to her babies so I have a healthy respect for these beautiful creatures. That's when I stumbled upon this glass painting technique featured on Sugar and Charm Blog. You can find visit her blog to see her instructions, although they differ a little from mine. This PermEnamel stuff wasn't very expensive and I already had a boat-load of glassware, so I figured I'd try it! Here's my first attempt. I say first, because I plan to do more (sans drippy lips *see step 7). The whole idea is have a boatload of these things. Mass planting so to speak. 1. Pick out some cute, simply-shaped glass containers. Do not use those curvy florist vases. (See step 4). This is what I had. Too lazy to go back to Goodwill and find some better ones. Plus I was still pouting about my alligator (or lack thereof). 2. Clean your glass vessel well. Rub the inside with rubbing alcohol to make sure you get off every last greasy paw print. 3. Pour a thimble full (or less) of the PermEnamel Surface Conditioner inside your glass and take a flat brush to spread it around evenly. 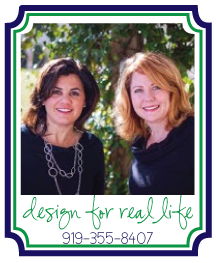 You can design on glass, tile and ceramics. Our innovative air-dry technology makes PermEnamel the only no-bake paint that is dishwasher-safe, microwave and oven-safe to 350°. Because it is air-dry you can paint anywhere and on any size! 4. 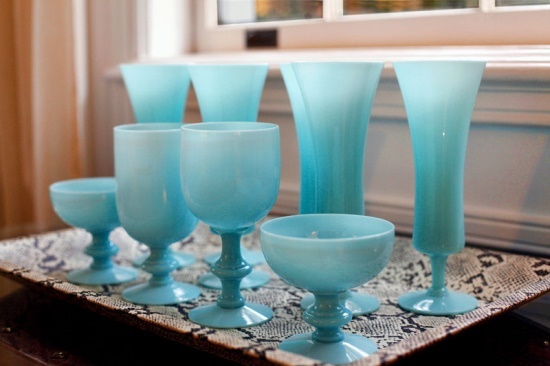 Pour a thimble full of PermEnamel Glass Paint into your glass container. 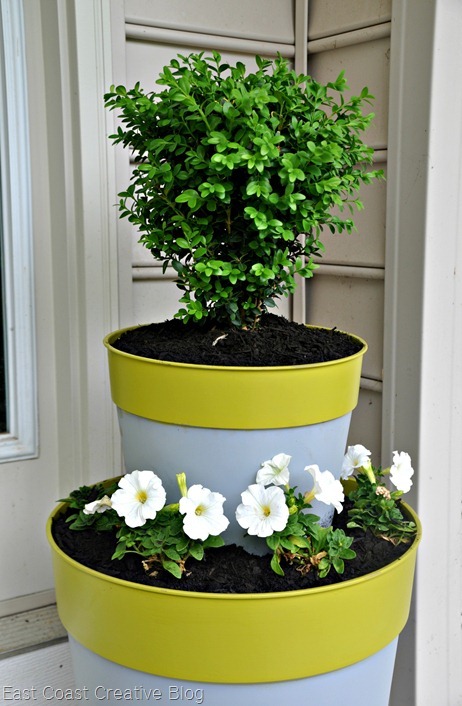 Use a DRY paint brush to spread it thinly around the inside. As well as you can, try to evenly cover the inside of your vase thoroughly. I used the color Leaf Green. 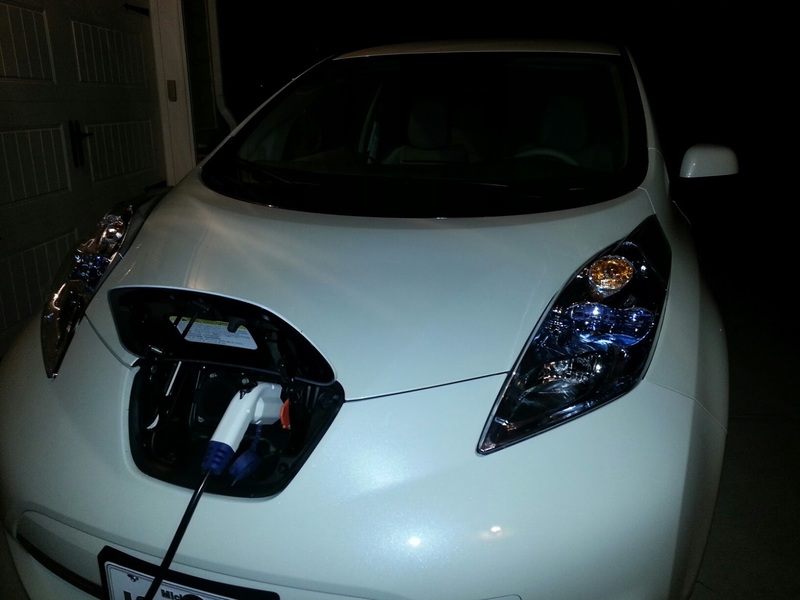 I just got an EV Leaf, so I thought that was fitting. My tag says "WATTSGAS" so if you see me around town, honk! Note: If you have those hour glass vases from long-expired flower arrangements sitting around thinking you are going to recycle them: DON'T DO IT..........Unless your hands are freakishly small, you'll never be able to get your knuckles inside the lip of the curve to get good paint coverage causing you to say bad words---loudly. Or, that's what I've heard. 5. Once you've brushed on a think coat of paint, turn your vase upside down on some paper towels and let gravity help fill in some of the thin areas. This should only take a few minutes. Note: Yet another place I went wrong: Don't get distracted by the dog chasing a bunny in the backyard and forget about your dripping vases. Once drips form around the inside lip, they are there for good (see step 6). I'm okay with this because anything handmade by me is going to be perfectly imperfect. Plus, I figure I'll fill them with flowers or put them so high up on a bookshelf that you'll never see the inside drippy lip. Ha! Problem solved. I wish they still made the Nissan Leaf in this fab color. 6. 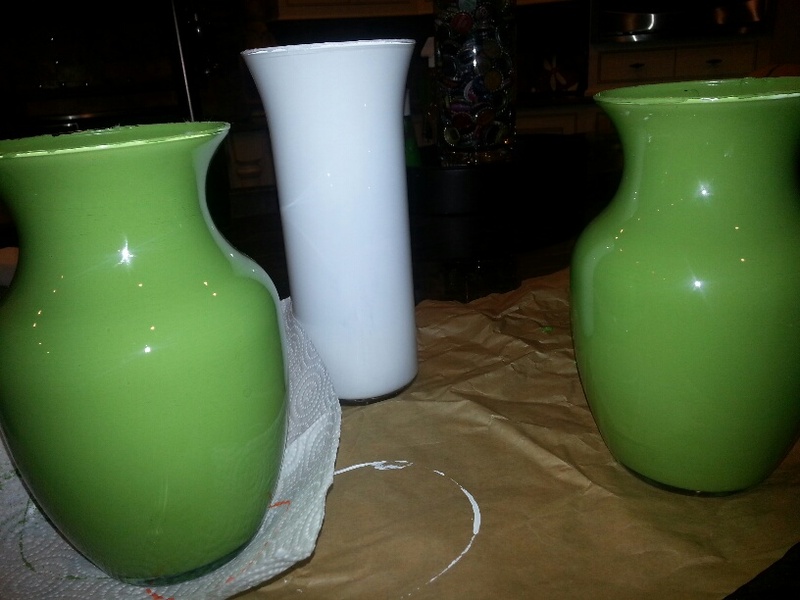 Allow the vases to dry for a little bit (patience was never my strong suit so I don't know how long to tell you for this step), and smooth out drips with your brush. 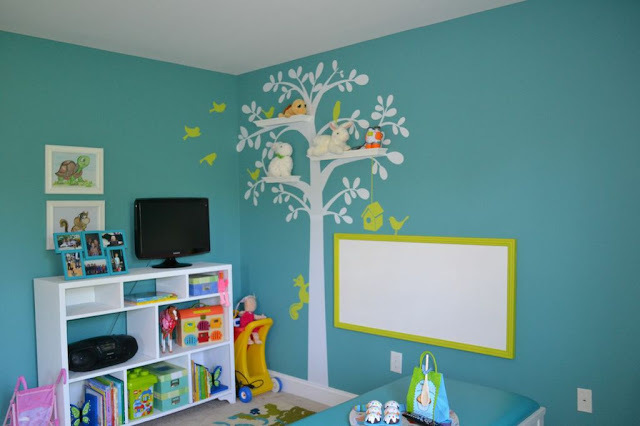 Continually take the paint that collects on the bottom and spread it around evenly. Return the glass container to the upside down position alternating 15 minutes upright, 15 minutes upside down. Do this two or three times. You can make a meatloaf while you wait. It's been done. 7. Choose a position either upright or upside down and allow your vase to dry overnight. If you have some drips in your lips (he he he), just move on. They are there for good. Not going anywhere. You can't get them out. Permanent. Let's just say that mine don't have the prettiest lips. Note: I read on the product website that you need to wait 10 days for the enamel to cure before using it to hold liquid*. *Unless you want three-headed babies, I would seriously consider my fate before eating or drinking out of my glassware. I think this DIY project should be decorative only. Notice that the product endorsement doesn't say food safe? I'm assuming you can put water in it to keep your cut flowers alive for a day or two, but I probably wouldn't mix up a Pina Colada in my new boldly-colored glassware. Here they are on my kitchen table. The ten day waiting period not yet up. Got a great idea from Centsational Girl- branches!! Hmmm, something's missing. Oh yeah, BUNNIES, of course! 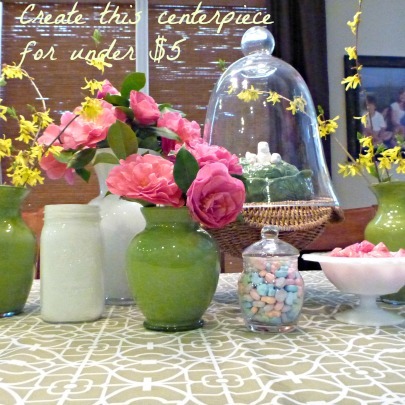 Aren't these glass vases ADORABLE for Easter? Mixed in a little bit of Milk Glass. The eggs were $1.00 at the Dollar General. The bunny and tray I already had. 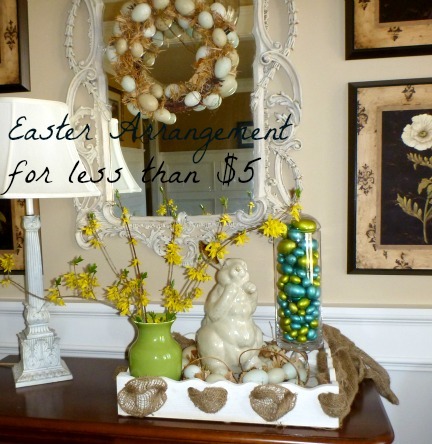 Entire arrangement including PermEnamel Paint was about $3.00! Have you tried this technique or something similar? I'd love to hear how your project turned out! Please share with us in the comments. Happy Painting! 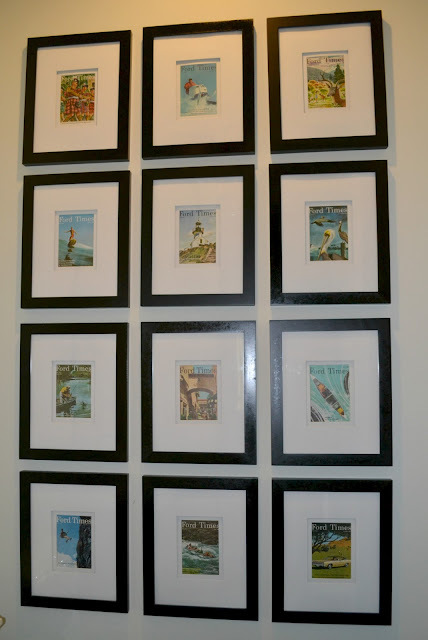 http://www.notjustahousewife.net/ who is featuring some awesome DIY projects--and by some I mean 500! Lipstick on a Pig: Working with what you have! What's your home decor splurge?